apiOmat cloud Backend as a Service for mobile and web apps enables software developers to create server-side systems for mobile apps and web pages in the browser and can deploy in the cloud. 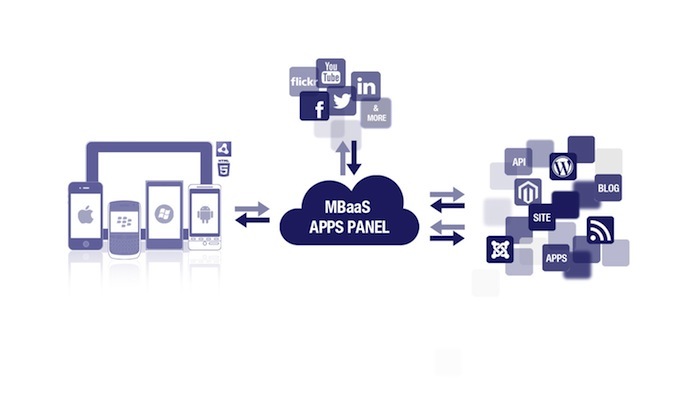 Mobile cloud backend as a service enable cross platform app development. apiOmat is a Germany based company. In the previous article, we wrote about Backend as a Service (BaaS) in details. We published this article to give a good example of easy to work BaaS, we are not suggesting to use ApiOmat itself. Backend as a Service or BaaS in short, introduces a new level of abstraction in the development of mobile apps where the backend system is outsourced, so the app maker can fully focus on their product can focus hosting. Scalability, security, connection to external APIs, user management and other tasks can be standardized for the most part and are the responsibility of the provider. There are other services like Parse, StackMob or Kinvey from United States. These services include prefabricated modules for push notifications and integration with CMS systems and social networks, which can be integrated according to the modular principle in its own app. Notably all BaaS has a free usage tier, just like PaaS has. One can test either apiOmat or StackMob after the easy and free registration, the developers can access the web console that serves as a central work environment. Here you can create apps and their manage their backends. After the user has created a new app, they can choose from a variety of functional modules that interest him/her. Facebook, Twitter , Tumblr, Google Analytics, WordPress and other online services can be integrated with little effort in your own app. There is a graphical editor that allows the creation of classes of the object model. apiOmat with the SDK allows the developers to work with these classes in their code. This Article Has Been Shared 4880 Times! Cite this article as: Abhishek Ghosh, "apiOmat Backend as a Service for Mobile and Web Apps," in The Customize Windows, December 30, 2013, April 21, 2019, https://thecustomizewindows.com/2013/12/apiomat-backend-as-a-service-for-mobile-and-web-apps/.